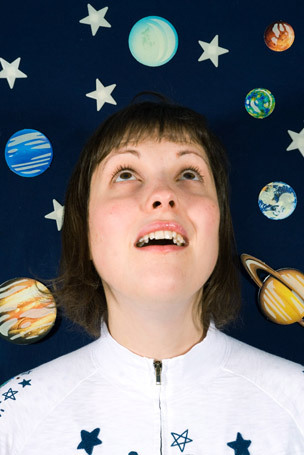 Josie Long is an award winning comedian. In 1999 Josie won the BBC New Comedy Award at the age of just 17 – making her too young for the champagne that came as part of the prize. Despite the boost the award would have given to her comedy career, she took time off performing to complete her English degree at Oxford university, returning in 2003. Following the break, she was named best newcomer in the Chortle awards in 2005, and best breakthrough act the following year. In 2006, she also scooped best newcomer in the if.comeddie awards for her solo Edinburgh debut, Kindness and Exuberance. Her next show, Trying is Good, is available on DVD. Josie is currently touring All of The Planet’s Wonders (Shown in Detail) which is about “…the magic of learning and making sense of the world. It’s about the little and big things in life. It covers the stars, wildlife, animals and museums, being inspired by books she has read and people she’s met along the way”.